Overview: Uncover hidden opportunities to make a global impact. Zola Electric (former Off Grid Electric) is a growth-stage start up that’s on track to light a million homes in Africa over the next couple of years with clean, affordable solar energy. At the heart of our business is innovative solutions that delight our customers. We are looking for a Finance Director who is interested to move to Tanzania join our team in Arusha, to support our growth strategy in Africa, changing the lives of millions with our innovative products. Today, Zola Electric powers more than 100,000 homes and businesses across Tanzania, Rwanda and Côte d’Ivoire. 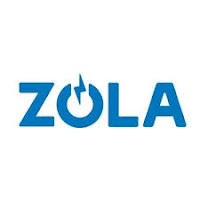 Zola Electric’s investors include: SolarCity, Vulcan Capital, DBL Partners, The Packard Foundation, Helios Investment Partners, and responsibility. Zola Electric is the recipient of the 2016 UN Momentum for Change Award, Zayed Future Energy Prize, and the 2015 Global Cleantech 100. For more information, visit www.zolaelectric.com. The Finance Director is end responsible for all financial activities in country and for ensuring financial targets of the company are met. 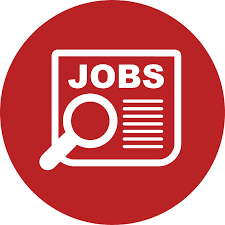 The Finance Director has a dual reporting line into the Managing Director (MD) of the Tanzania entity, and to the Group FP&A Director in Amsterdam. Main responsibilities include, but are not limited to strategic collaboration, budget and cash flow management, ownership of country financial statement risk assessment and credit. Participate in strategic meetings to contribute to the development of the annual financial strategy and business plan in collaboration with country and group finance staff. Develop implementation plan of financial strategy in collaboration with the team and monitor implementation therein. Stakeholder management on group and board level, reporting and communications. Provide stakeholders with timely and accurate information and jointly determine strategy. Develop annual, quarterly and monthly cash flow projections. Manage bank payment approval processes, ensuring segregation of duties in this process. Manage proper budget control and compliance by the business as per the approved budget. Monitor country expenditure and review monthly, providing actionable improvement plans for country business units. Provide guidance to management to reduce expenditure and implement and oversee financial remedial plans and measures as required. Monitor the execution of proper reporting on budget and cash flow matters. Accountable for all postings to the country financial ledgers. Monitor the timeous payment of creditors and attend to those outstanding payments that have been escalated. Verify physical stock counts to ensure that line organization is properly reconciling stock. Monitor the maintenance of the asset register, review asset registers to check depreciation calculated and validate additions against support documentation. Coordinate a physical account to test what has been recorded in the asset register to confirm the existence of the assets, ensuring that any missing assets are promptly written off. Review the insurance policy to ensure it is up to date and that assets are appropriately secured. Implement periodic financial and operational risk assessments in collaboration with Managing Director and heads of departments. Carry out internal audits as necessary to assure MD and OGE Executive / Board that financial risks are properly managed. In cooperation with the Group Director of Credit, ensure that the customer-facing credit strategy that addresses both upfront, point-of-sale credit operations, as well as after-sales education and payment follow-up, is implemented and appropriately followed up. Provide financial advice and counsel to the Country MD and Heads of Departments. Maintain sound working relationships with financial institutions and relevant authorities. Ensure that an effective document management system is in place for country operations (in collaboration with Legal Counsel). Communicate regularly with the Managing Director to provide the necessary updates on departmental operations. Minimum 10 years financial management experience. This role is based out of the Arusha office in Tanzania. Limited travel will be required on occasion.